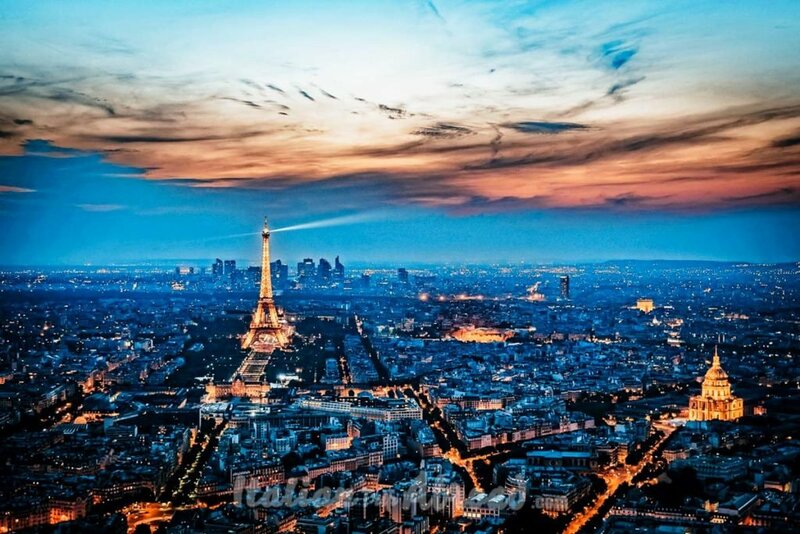 Paris is one of the most photographed places in the World. We are trying to help you to draw an itinerary of the most instagrammable places in Paris. 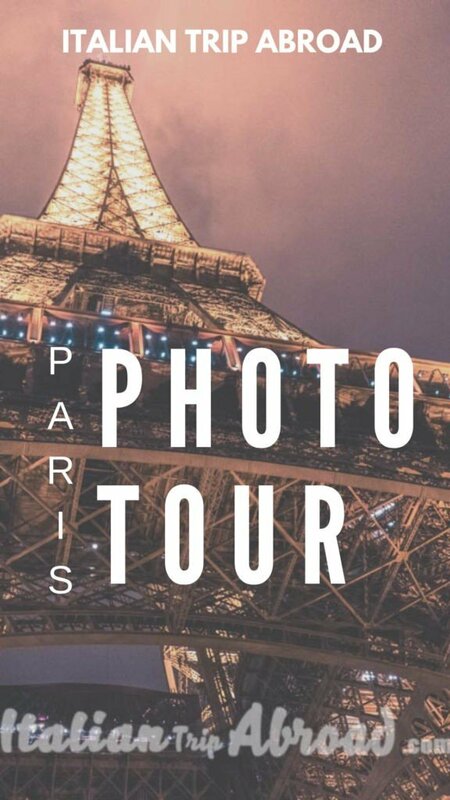 A list of Paris photoshoot location where to snap the best of your vacation. 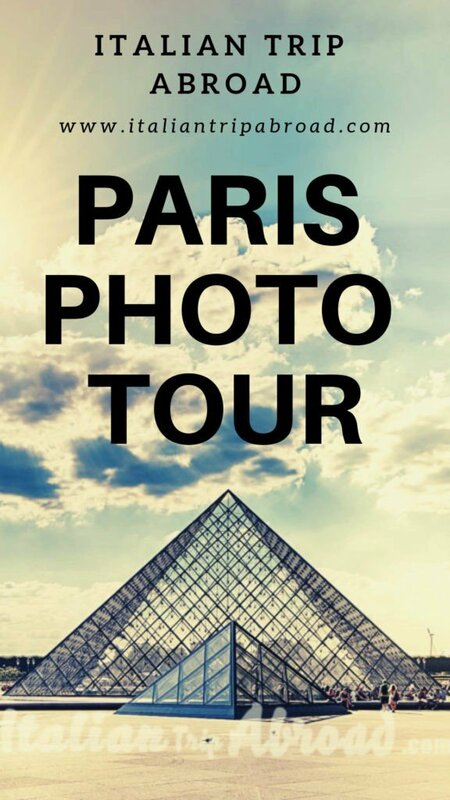 Make your own Paris Photo tour, check for the best spot for Eiffel Tower Photo and use our photographing Paris tips. 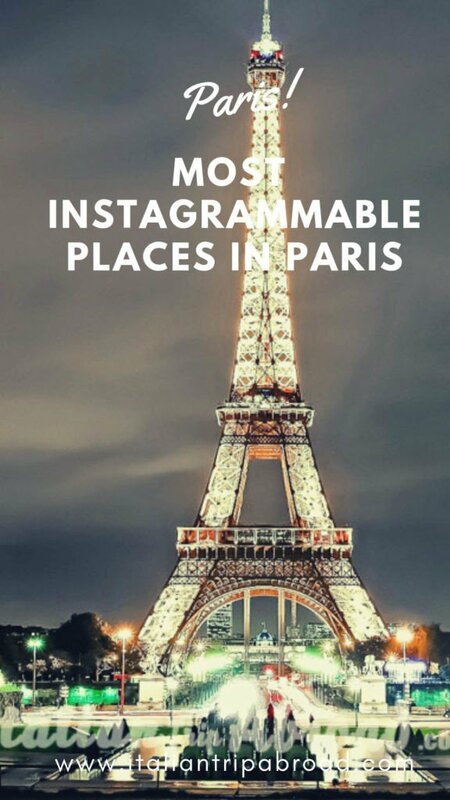 Instagrammable Paris will be not just a list of most beautiful places in Paris, it will also be a perfect guide of the famous places in Paris. Paris has some amazing places which need to be in your top list of best photo spots in Paris. When we are talking about Paris, I always start with this phrase from Paris Je t’aime and you can understand why we are talking about instagrammable Paris. Sitting there, alone in a foreign country, far from my job and everyone I know, a feeling came over me. It was like remembering something I’d never known before or had always been waiting for, but I didn’t know what. Maybe it was something I’d forgotten or something I’ve been missing all my life. All I can say is that I felt, at the same time, joy and sadness. But not too much sadness, because I felt alive. Yes, alive. That was the moment I fell in love with Paris. And I felt Paris fall in love with me. 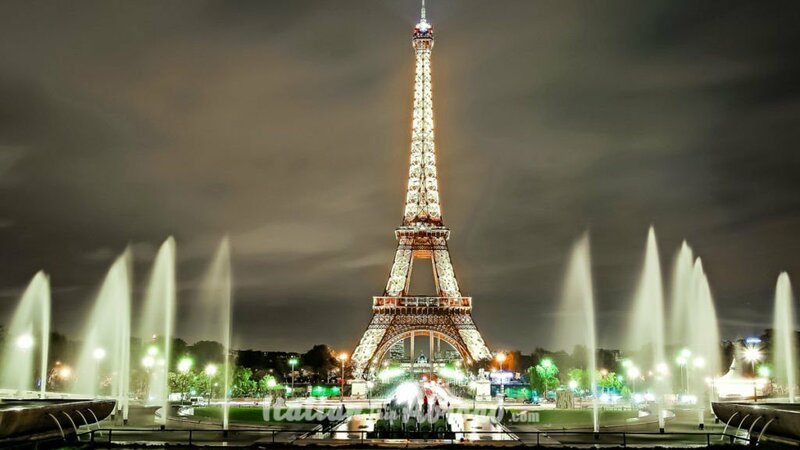 The Eiffel Tower is the symbol of the Parisienne city. There are a lot of perfect places where to take pictures of the tower and for us, the best one is from the Trocadero. The Trocadero is located just 5 minutes away from the Eiffel Tower, going through the Trocadero’s gardens and reaching the best point of view for your Instagrammable Paris. If the Eiffel Tower is the first thing you want to see in Paris, you can take the tube and reach Trocadero Station, where you have line 6 and 9. This is one of the best photography locations in Paris and is the best point where you can let your imagination work. We suggest to go there in early morning, so you don’t have many people around and you can actually take nice pictures, but it is even true that by night Paris is magic and the Eiffel tower is illuminated. 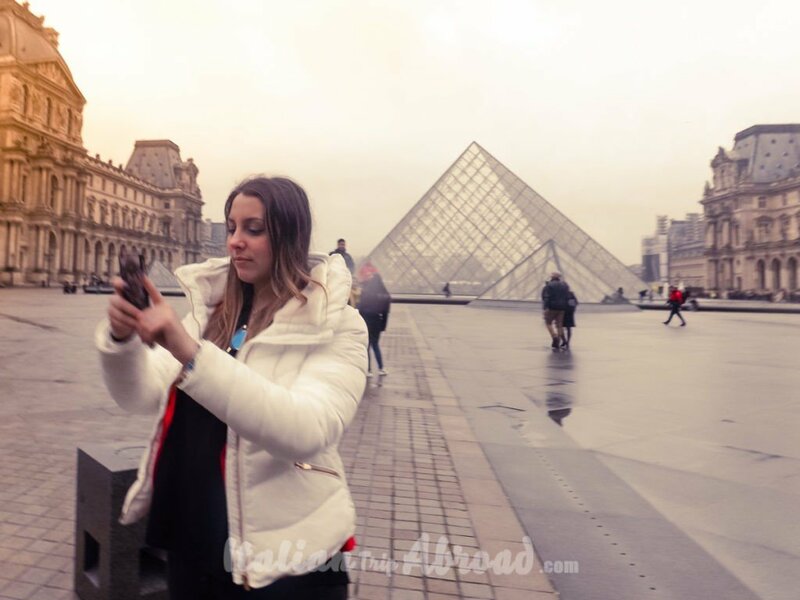 Travel Tips: While we were spending our time taking photos of Paris, we weren’t feeling really safe around the Trocadero. 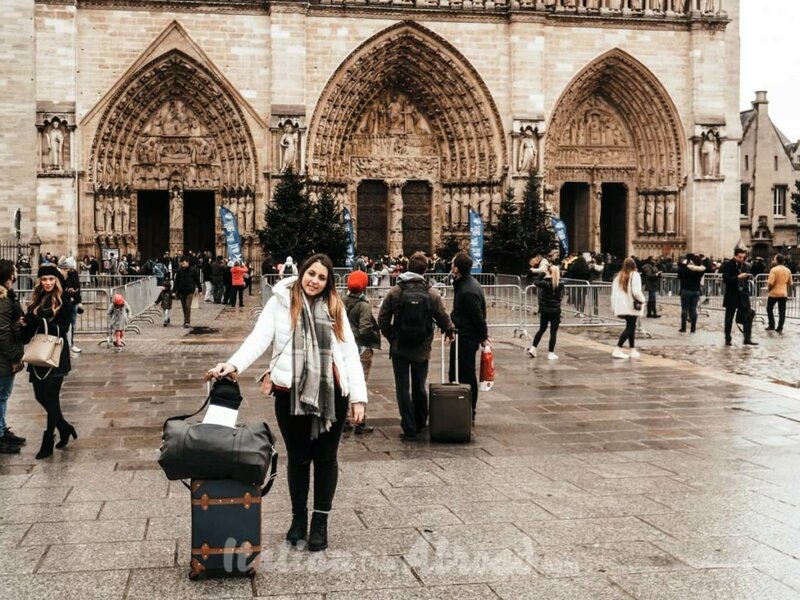 If you are traveling solo, the best option would be going close to other tourists and “pretend” to be with them, or if you are with your partner or friends try to stay away from the vendors and keep always your bags and especially cameras with you and the valuable safe. We have strolled around the beautiful city that has inspired a love for years. 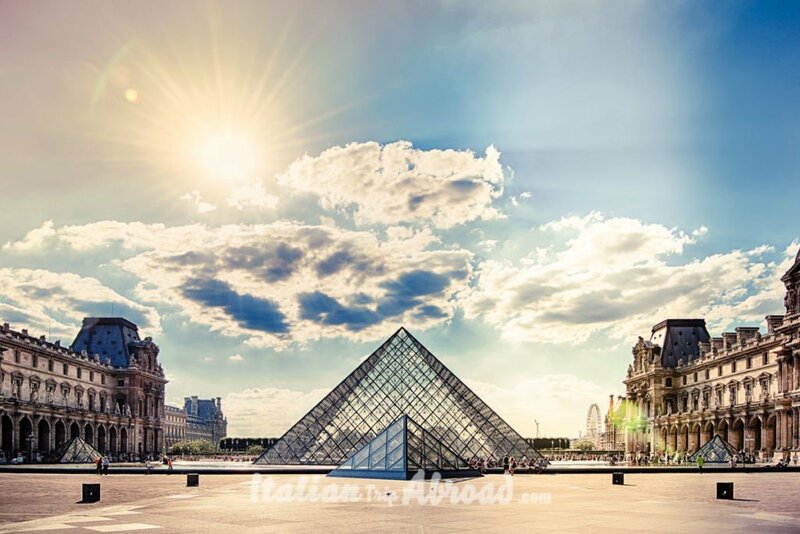 Paris is one of the places where we have been most inspired by landscapes and architecture. We have tried to do a checklist for the best Paris Photo Tour, something that we have tried before by ourselves, getting lost in this beauty. 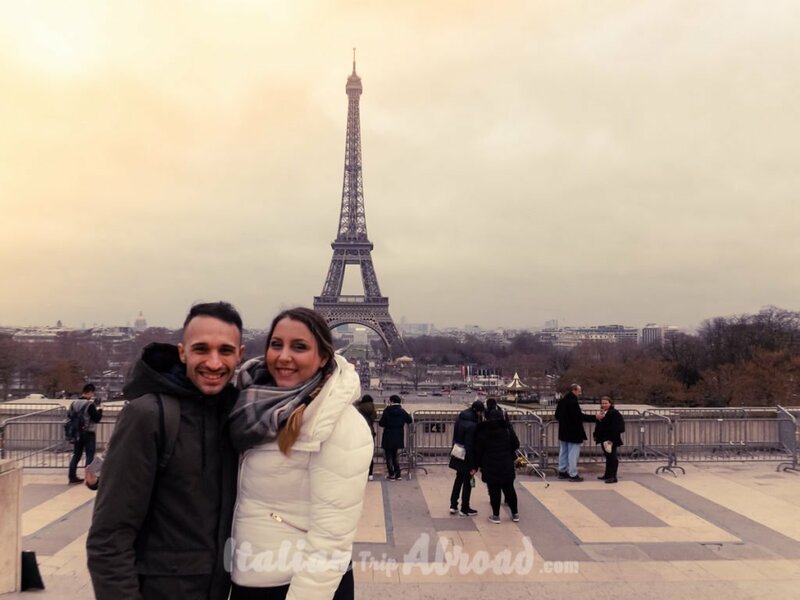 Just getting lost we have been able to find the best Paris photo spots and taking some of the best Eiffel tower pictures. The most important museum in Paris. Le Louvre is another important monument that you need to put in your bucket list of the best instagrammable Paris. This is one of the best photography locations in Paris. From outside of the Louvre all the people are standing and spend at least half hour to take pictures, this is absolutely a stunning Paris photo spots. You need to spend at least one day to visit the museum. The tickets are available online as well, and it is the faster way as most of the time there is a long queue only to buy the tickets. There is no better time to shot the Louvre from outside more than the sunset. Yes, of course, this is the best hour to shot everywhere. But the most important museum of Paris is really amazing when the daylight is going down. So, the Louvre is going straight into the list of the most instrammable places in Paris. 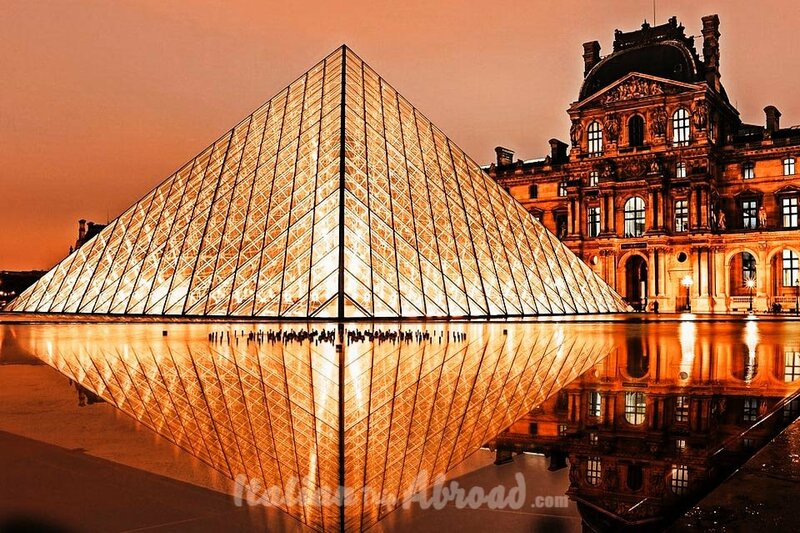 The Louvre for sure is one of the must-see locations in Paris, doesn’t matter how many days is your itinerary of Paris. I don’t know why but there is something magic around it and it is one of the most famous places in Paris and it is one of the busiest places where all the people are taking pictures. This is the second most famous landmark in Paris. This iconic building stands proudly on the western end of the Champs-Elysees. 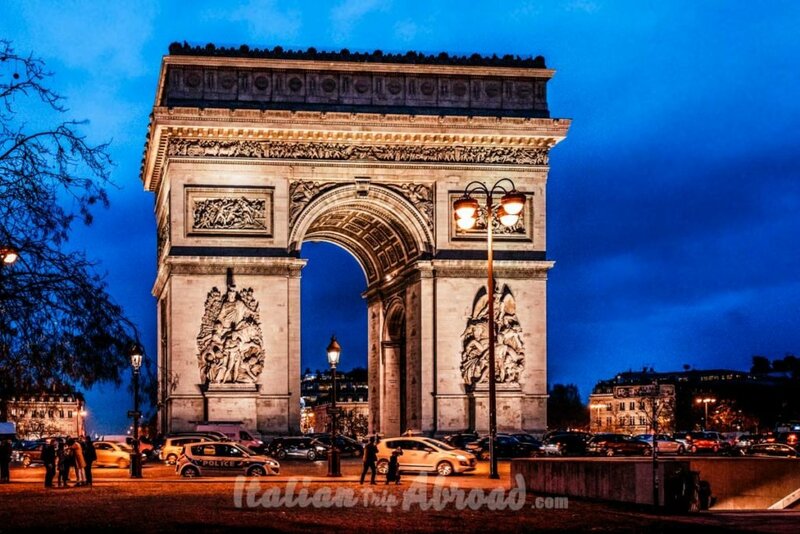 The Arch of Triumph is the point where twelve avenues meet, standing as a monument to the fallen fighters of the French Revolution and the Napoleonic Wars. This is one of the most important stop if we are talking about the instaworthy location of Paris. The Arc de Triomphe is one of the best photography spot in Paris and if you are patient you can stand in the middle of the street, right in the circle in front of the Arc and take one of the most beautiful pictures in Paris. Take a great photo is not the same of take the best shot. It is meaning more. Technique, passion, right time, perfect angle. Doesn’t matter which camera are you using. We will ask you to behave every time you are trying to shoot the perfect photo for your Instagram account, in some places the attraction is restricted. It has happened because some people, just for a shot and a nice photo will behave so badly. Please respect the law and the advert in the restricted areas, otherwise, some of the most famous places in Paris will start to be closed and not any more free to be visited. 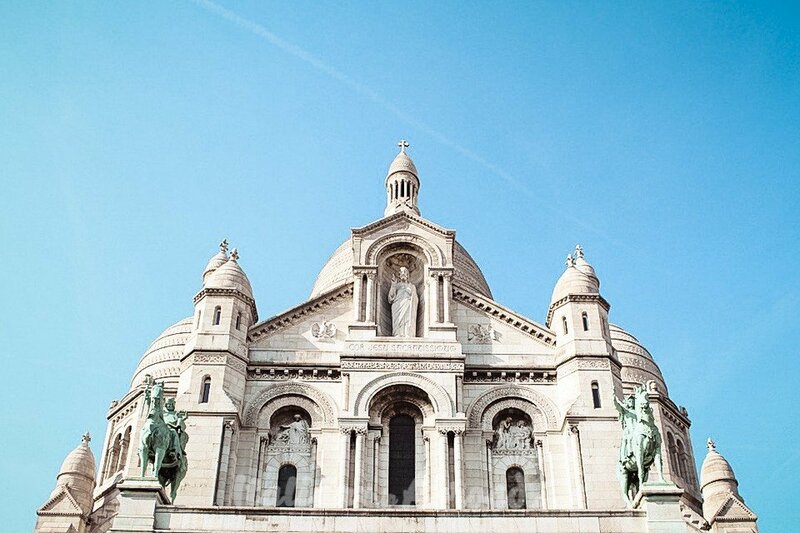 The Sacre Coeur is another iconic Parisian landmarks. Sitting on the Montmartre hill you find the perfect spot for your Instagrammable Paris itinerary. This place offers 360 panoramic views of the city and it is a great spot to relax and catch your breath. After a long day, strolling around the amazing streets of Paris, shooting everywhere and being kidnapped by colors, arts, architecture, smells and different cultures, you have to relax and enjoy the view from Montmartre, one of the best places in Paris to take pictures. Sacre Coeur must be in your list. You can’t miss it if you are visiting Paris, especially if it is your first visit to the city of Love. After the Notre Dame Cathedral, the Sacre Coeur is the most visited church in France. From the top of the Sacre Coeur, you can have an amazing view. We will tell you the truth, the way to the top is hard. There are a lot of steps that will take you off the breath. From here you can have as much as Paris photos you want. It is absolutely on the top of Places to see in Paris. You can visit the Basilica for free, however, if you want to visit the Dome to enjoy a spectacular view over Paris, you have to buy the tickets on site. You can access the dome outside the church on its left side. If you are writing down the Sacre Coeur to your list of places to visit in Paris, we also suggest Saint Germain. Both landmarks are the best places to photograph Paris. Here is nice also to the classic Paris couple photoshoot. This Borough of Paris is one of the most charming. I will suggest you to head here and take some of the best incredible street shot of Paris. Visiting Saint Germain you will love Paris, stop by one of the cafe’, try to find the most Boudoir cafe possible. Stroll around the Vieux Paris, the narrow street of Paris and find a spot where you will shot your Picture perfect. Will never be enough to say how you will fall in love with Paris, and fall in love again once at home you look at your photos. We have been to Paris more than one time, and even if we are not the most enthusiastic people about this city, we will never regret to take shots of Paris. You need to dedicate a full day to visit this beautiful place. Versailles Palace, known as Palais Royal as well, is really famous in Paris and is one of the best places to photograph in Paris. The Royal Palace of Paris is the perfect spot for your Instagram photos of Paris. The Palace of Versailles is open all year, it is one of the most known Paris Tourist attractions, and one of the most visited in the World. We highly suggest to visit it in summer, it is one of the best places to visit in Paris in June. It is not just a perfect photo spot in Paris. The Palace of Versailles is also a great place to visit, or just relax in the huge gardens. There are a huge garden and other small on the sides In those amazing parks you can relax, do jogging, walk and is a pet-friendly park. This amazing park has got great amenities such as rent a bike, the canoe or caddy, which will be the best solution to stop by and do a perfect couple photoshoot in Paris. The park and the gardens are open every day and the access is for free. There is useful information on the website, plan your visit in advance and cross all the best point of view of the Palace as it is really worth it for your Instagrammable Paris Photos. Notre Dame Cathedral was built during the Middle Ages is one of the most interesting examples of French-Gothic architecture and one of the most beautiful places in Paris where to take the best photos. The French Cathedral has got something really magic, the interior is stunning and you can’t miss it as you will regret it. Behind Notre Dame, you can discover the amazing gardens those are some of the best places in Paris to take pictures. Notre Dame Paris – Famous places in Paris – Part of this church has been destroyed by a huge fire, while it was under rebuilding in April 2019. Notre Dame is one of the most famous locations in Paris, really close to the Seine. The closest tube is St. Michel Notre Dame line 4. It is absolutely one of the places to be in Paris. The legendary belle epoque cabaret most known as Moulin Rouge is considered as the birthplace of the can-can dance. The Moulin Rouge or the Red Windmill in the perfect translation is what it has the design of. It is one of the most popular places in Paris. Talking about the most Instagrammable places in Paris, The Moulin Rouge is one of the best places to take photos in Paris. It is especially during the night, beacuse of the lights that are on and, the image that you have about it is really. Even if, during the day is not that bad. But for an Instagrammable Paris, we highly recommend visiting when the night is approaching. To reach the Moulin Rouge you have to take the tube and stop at Blanche with the line 2. This is our list of the best Instagrammable places in Paris. When you are thinking about travel where your main focus is to find the best photography spot you need to be organized and try to find the best route for your trip. For example when we have been to Paris we were looking for the perfect place where to take black and white pictures of Paris France, and I must say most of the important monument in the French Capital, like Eiffel Tower, Notre Dame or even Arc de Triomphe are perfect to taking pictures in Paris with a black and white filter. 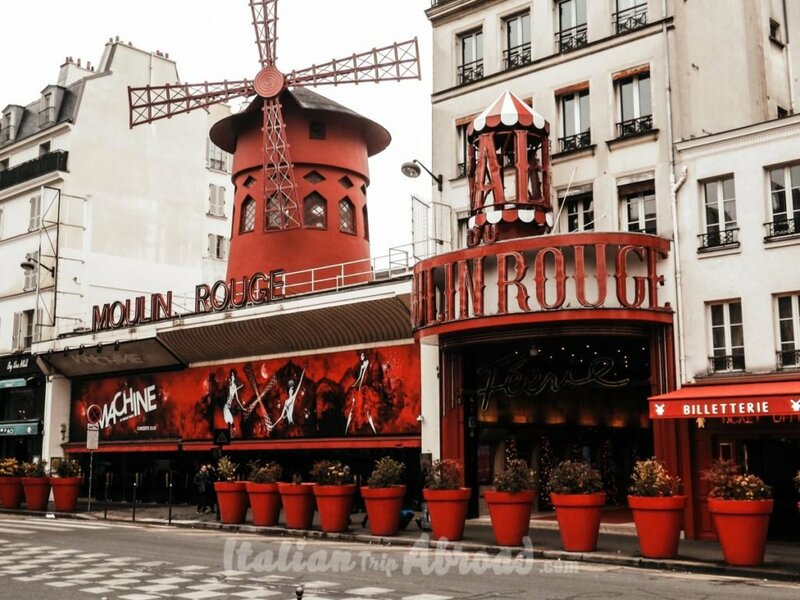 Visiting the Moulin Rouge, you can enjoy the close Latin Quarter, one of the most colorful and lively places in Paris. 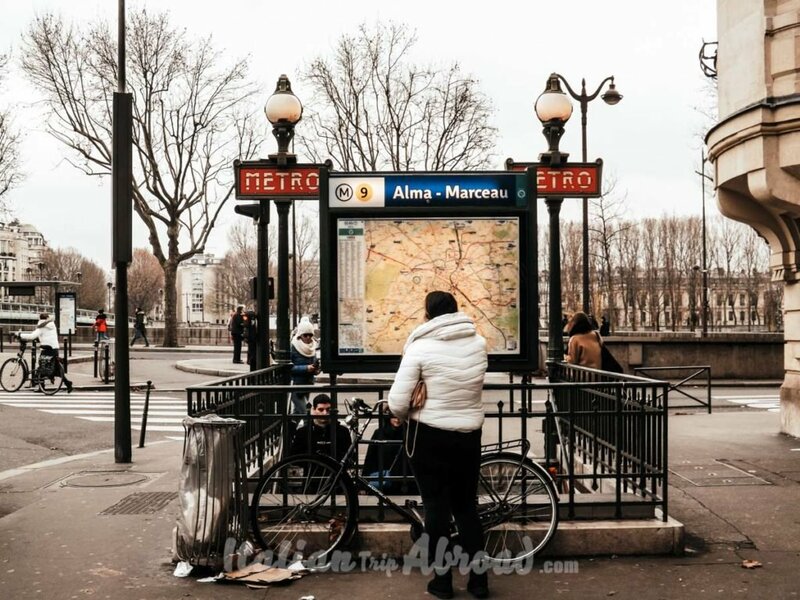 The Latin Quarter is not just the place where you can find the best nightlife in Paris, but also you will have the best photo opportunities in Paris. All the Latin Quarter of Paris is amazing at night. Here you can find clubs, restaurants, and bars open until late night, because of that, it is also one of the best places to visit in Paris at night. 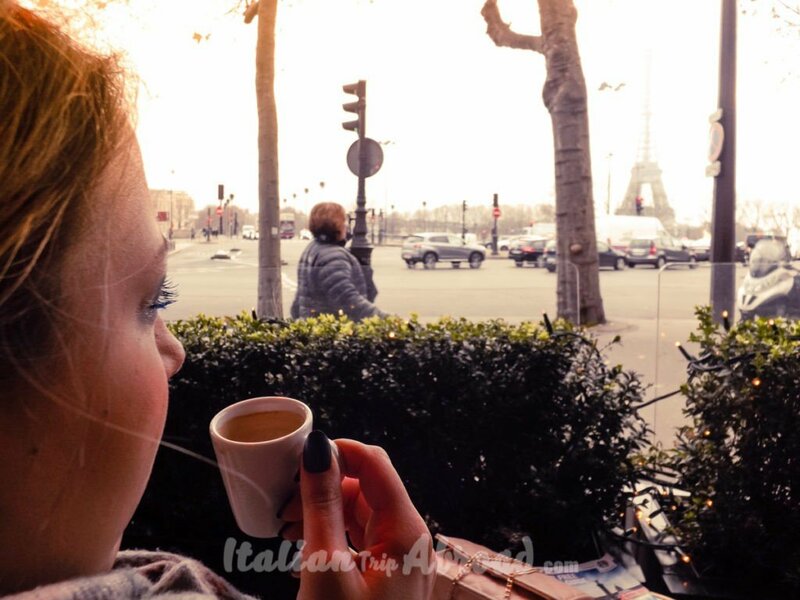 Chose a coffee bar in a cosy place, and even with an amazing view is not just a beautiful spot where take your last postcard in Paris. It is an amazing and romantic experience. 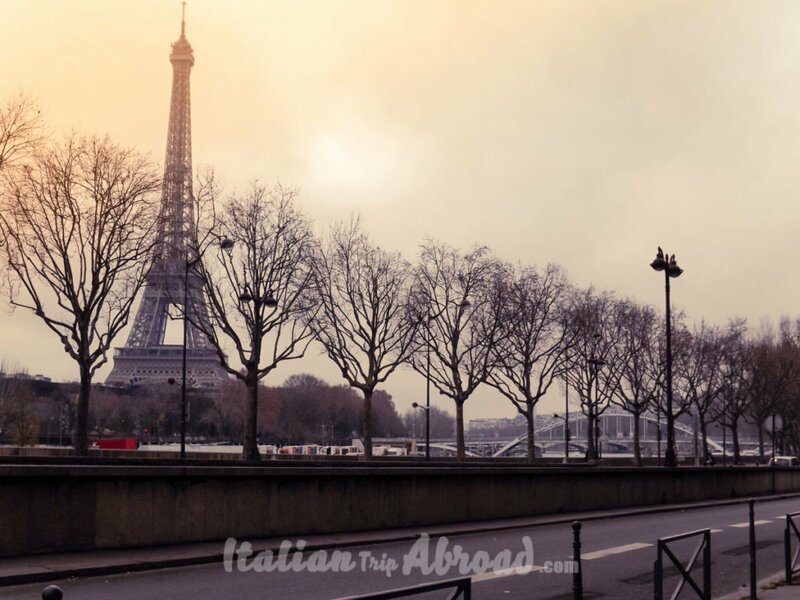 When we have been to Paris, it was really a Romantic escape in a cold December. Paris is charming, and we stumbled into this lovely bar on the river side of the Seine. It has got an amazing view, was work and not at all expensive as we were thinking. Just for the price of a coffee, you can enjoy the amazing view and take all your Paris pictures you want. Our cafe’ was also one of the Pretty places in Paris we have visited. We can suggest you to do a prior check before you land in Paris, or even during your visit. Try checking on Instagram: Paris Instagram Photos, or best cafe’ in Paris. It will come off with tons of results, and the best pictures of a Parisian cafe. Angelina Café at Rue de Rivoli is one of the best Coffee shop in Paris. It is also one of the most instagrammable café in Paris. 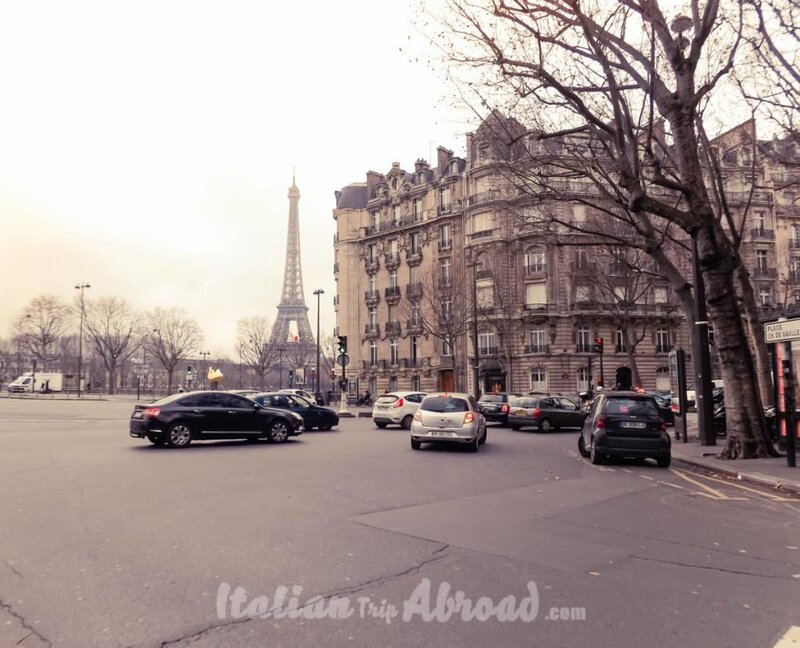 If you are planning an escape to Paris and you are spending time looking at your Instagram for some inspirational photos of Paris, you have stumbled in some of the prettiest street of Paris. Mont Martre is one of the prettiest borough of Paris, it is on the top of a hill and is still considered the Quarter of the Artists. For years Mont Martre has been an own village, on the top of Paris, it was just an agglomerate of vineyards, windmills and few houses. Mont Martre is running of stunning street and cobblestone passages just behind the Sacré-Coeur Basilica. Follow your way to Rue de l’Abreuvoir and, once you find very fancy restaurants, glamour boutique and well presented cosy bars and great pink houses here you are. This Borough has made the history of Paris for epoques, it was well frequented by Picasso. We will not aim to be a food blog (But this is a one of the best food tour of Paris), so that is why we will talk about Maison Rose as a perfect Photo spot in Paris. This Restaurant is in a perfect corner where you can enjoy the view on Paris. The restaurant as you can clearly understand is painted pink, on the top of it the houses are completely filled with climbing plants that cover all the facades. It is a small coffee shop where writers, painters, and artists where relaxing all day or just at lunchtime. The Owners were friends of Picasso, and he was one of the frequent clients there. The Café de La Petite Maison Rose is in 2 Rue de l’Abreuvoir, stop here for some of the best Instagram shots of Paris. 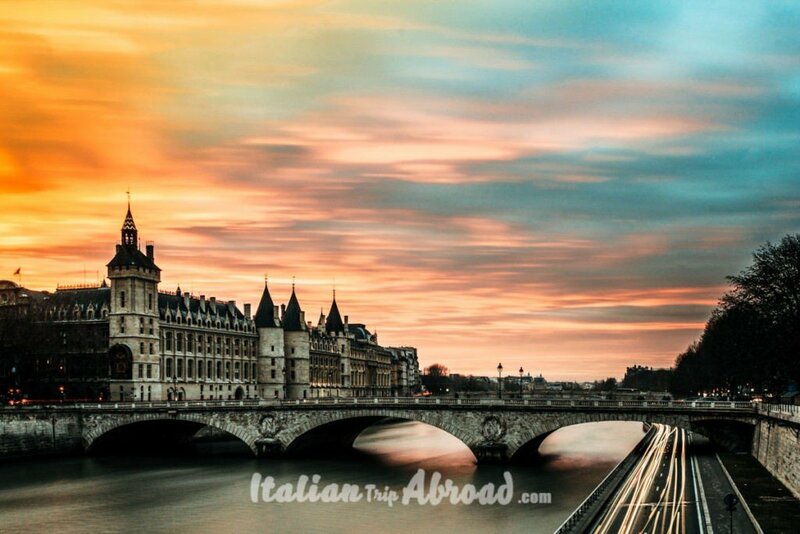 We told you already how beautiful is Paris? I think yes, we told you that a lot of times. But even that, we will tell you how it seems that any spots of Paris are ready for a photoshoot. The shopping centres, the galleries, cafes and streets are pretty and instagram worthy. The Galerie Vivienne is amazing, an awesome spot with many shops and cute corners. This is a masterpiece of Paris, and not everybody knows about this place. It will be for sure in the list of hidden gems of Paris. It was built in 1823 and is an Historical monument. If you are going to visit the Le Palais Royal, just a short walk far there is the Galerie Vivienne. This is one of the most beautiful shopping centres we have never seen in our life. It is awesome and we can compare with the London Shopping Centre of Harrods. Just stepping into this building you will clearly understand how is magic. You have not just to look at the shop windows but check the ceiling. Awesome! This building have got an amazing panoramic terrace on the top. The stunning view on Paris is really a breath taking. Unfortunately there is no amenities on the top like café or restaurant to enjoy the view. Le tue foto di Parigi sono davvero incredibili! Sono colpita dalla luce e da come sei riuscito a raccontare quasi una Parigi diversa, con sfumature ed emozioni più calde… fantastiche! You have found some really beautiful places to take photos in, in Paris. The night Louvre Museum photo is so pretty! I love the reflection of the pyramid. This is really cool! I never knew they had specific spots for this and they are just gorgeous backdrops. Paris is something that is definitely on my bucket list. I was a history major and absolutely love French history. The entire build up of the country just fascinates me! OMG! This photos are so beautiful! Definitely worth every minute in Paris. Can’t wait to visit Paris and take a bunch of pictures too! Looks like you guys had a lot of fun! I have been once but it’s been close to a decade now. I sometimes consider a return visit. I’d love to go with my grown kids. We shall see. Your photos are amazing. I have always wanted to go to Paris. If I did, I know I would take a ton of photos. Love your photos! Makes me think about the photographs I took when I was in Paris. Its just a wonderful and captivating place! These are beautiful pictures!! I flew over the Eiffel tower once, when I was a sophomore in high school. We were headed to Spain. The pictures are so vivid, but I’m sure they don’t do it justice. Gosh your photos are just amazing! I felt like I am in Paris reading your post. Thanks for an awesome experience! I’m not only loving your instagram pics but your magnifique spot selection! Loving and missing Paris! Paris is on top of my wish list. Its sch an amazing city. All the photos are truly lovely. These photos are stunning! We haven’t visited Paris yet but would love to as our children are getting older.